Our jewelry is crafted from local reclaimed wine barrels. She loves wine. She loves you. She’ll love this ring. 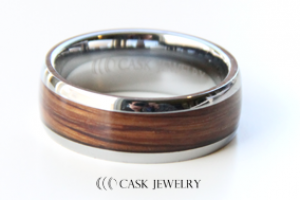 We take locally sourced reclaimed oak wine barrels and turn them into beautiful pieces of fine jewelry. Wine Barrel Rings, Cufflinks and Pendants.